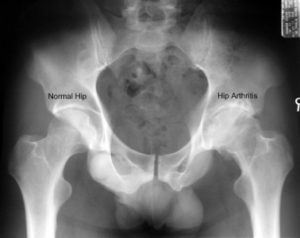 Hip arthritis is a vague term. It is generally used for degenerative or osteoarthritis, and is thought to be progressive and irreversible. 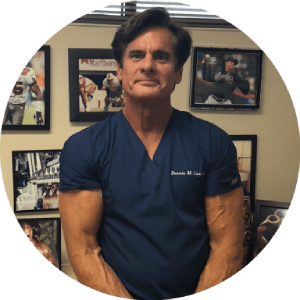 Regenerative Medicine procedures such as Stem Cell Therapy and Platelet Rich Plasma (PRP), are trying to reverse this paradigm. Regenerative Medicine deals with repair and healing tissue. A subset of Regenerative Medicine is Tissue Engineering. Both aspects of the regenerative field have made amazing advances in recent years, seeing clinical trials initiated with stem cells in spinal cord injury, heart failure, and certain types of blindness. Hip arthritis, may be seen at many levels. Unfortunately, some patients do not present for treatment until the hip arthritis is advanced. As with many things, early treatment is generally better, but not always possible. Scientists are beginning to better understand osteoarthritis. It is not just simple wear and tear as once thought. It may have a genetic component, be influenced by inflammatory proteins or signal molecules (cytokines), and regulated by biomechanical forces (positively and negatively). Thus, with all the players involved with propagation of osteoarthritis, a simple anti-inflammatory medication will not fix the problem. Which research has shown it does not. Cortisone (corticosteroids) likewise, do not alter joint degeneration progression. Many patients are now looking to stay healthier, remain physically fit, and avoid hip replacement. Regenerative Medicine is the future and present. Stem Cell Therapy may be used with Platelet Rich Plasma (PRP) as a hip joint aid. These regenerative therapies have been used in patients with severe hip arthritic changes that for medical reasons could not have hip replacement surgery. Therefore, the stem cell treatment became an alternative to hip replacement surgery. The task for tissue and cartilage repair is easier in mild wearing or arthritis of the hip joint. Again, there are times when the ideal is not feasible, as patients do not always present for treatment when symptoms are mild or early. However, some difficult patients with significant arthritis, and even Avascular Necrosis (AVN) of the hip have been treated successfully with Stem Cell Therapy and PRP. Avascular Necrosis (AVN) sometimes referred to osteonecrosis, is a portion of the bone has loss blood supply and becomes necrotic or dies. This is a more complex and difficult case to treat as generally there is accelerated wear or collapse surrounding the Avascular Necrosis (AVN) leading to an advanced secondary arthritis. Even the most difficult aspects of hip arthritis have seen stem cells applied for treatment. Platelet Rich Plasma (PRP) and Stem Cell Therapy, may be considered for treatment of hip arthritis, and as an alternative to hip joint replacement.